Ashley Nicole Dent epitomized the spirit of athletic competition and what it meant to be a member of a team. 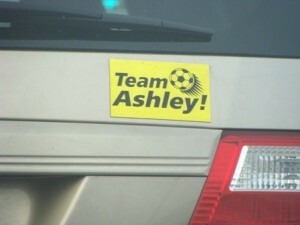 Ashley was lost to her Spring Valley teammates after a tragic car accident on the way home from soccer practice in 2006. In her honor and memory, the Viking Cup recognizes the tournament's Senior MVP each year via a scholarship to her chosen college or university.